How does one navigate the treacherous crossing from the Information Age to the Inspiration Age? How can you know for sure if your leadership is “sea-worthy” enough to withstand the tremendous sea change now transforming business in ways we can only begin to imagine. With exponentially faster technology and a generation concerned with a moral imperative for higher consciousness in business, the inevitable transformation is already influencing leadership and accountability. We are all striving to see past the horizon and peer into the future to anticpate vast complexities before they arise. One thing is certain, the very fabric of time is changing. Leaders must understand the scope of changes and adapt to meet them. If the Information Age has taught us anything, it is there are no secrets. If a leader builds a “house of cards”, it will only fall faster. Today, a leader’s activity is viewable and ‘Google-able’ 24/7, leaving a communication trail decades long. The preventative maintenance solution is really simple. Be honest. Be careful. Living to real values is safe and exciting. Succeeding with honesty is fulfilling. It’s not a time for leadership to become more secretive but a time to be more open, more revealing, more authentic, more extracting, and more decisive. The emerging paradigm shift requires a new leadership model to handle increasing complexities with greater inspiration and emotional endurance. In the past, traditional leaders were authoritarians who simply dictated roles and objectives; whereas inspired leaders contain authority, exude presence and practice gratitude and humility. Through awareness and caring, they invite others to step into their own brilliance; they naturally elicit the wisdom of others, by simply using the power of their presence. They believe in and trust others to be brilliant, knowing that people “perform up” to the expectations of a great leader. 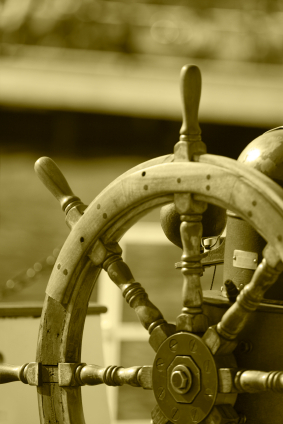 Are you prepared to navigate the unknown and manage vast complexities that will arise? While it’s impossible to see past the horizon of what we know, the corporate paradigm shift is loosely envisioned. As a message of hope, I encourage you to yield to your CEO cynicism and participate in creating a future that is life-affirming, profitable, enjoyable, trusting, and peaceful. Part of self-mastery is the ability to use eyesight and vision at the same time, to be in the present yet sense the future with accuracy. This entry was posted on Thursday, December 8th, 2011 at 7:41 am	and is filed under Blog, Brilliant Leadership. You can follow any responses to this entry through the RSS 2.0 feed. You can leave a response, or trackback from your own site. Amazing insights. Dr. Whitaker is right on. I highly recommend her books on leadership.